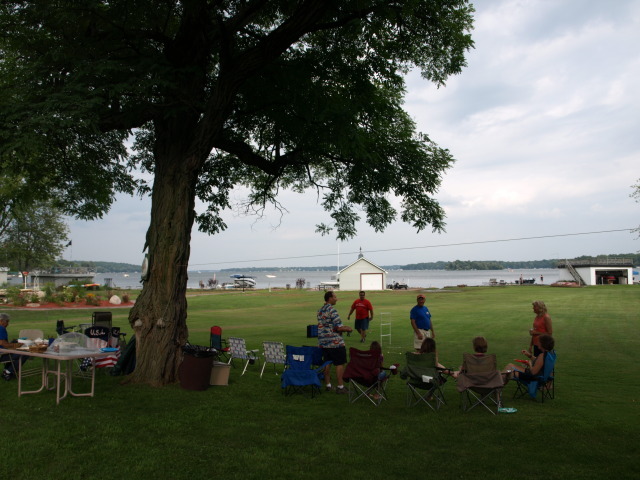 On August 7th, we got together at the home of Jim & Kathy Wurster in Pewaukee Wisconsin for the annual club picnic. Jim and Kathy have graciously hosted the event the last few years. We had a nice turnout of Aero cars and friends. Dave Moots owns the Cale Yarborough Cyclone Spoiler II. 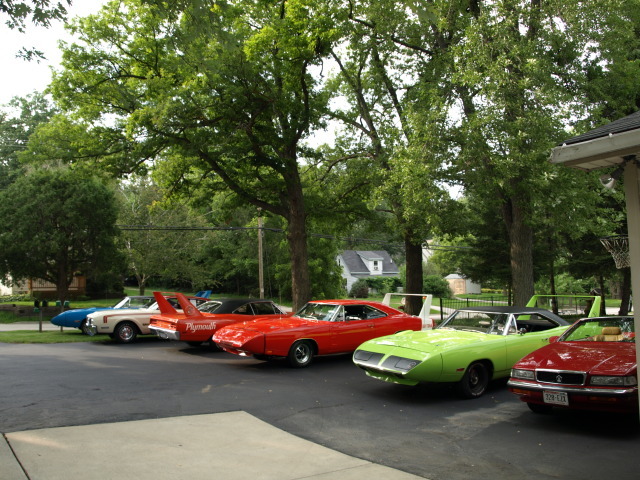 To the right is the Tor-Red Superbird of Mike Borkowski. Mike is an original owner. The Daytona belongs to Dave Kanofsky from Chicago. 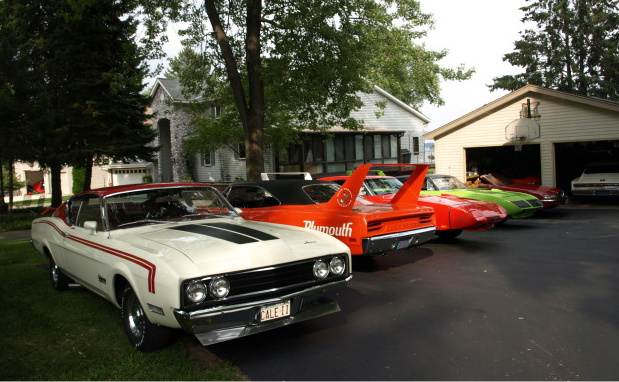 A nice group of cars. 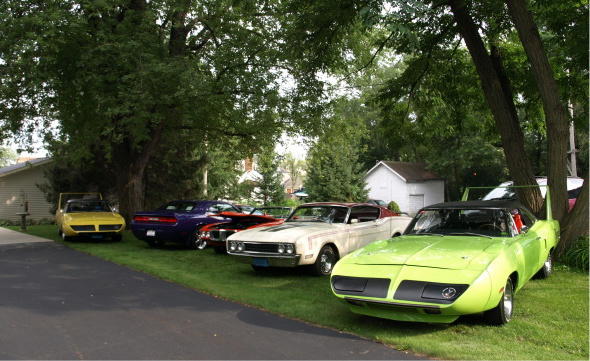 Brian Horst owns the yellow Superbird. Cal Anderson the Challenger. Tom Kau owns the survivor Cale II. 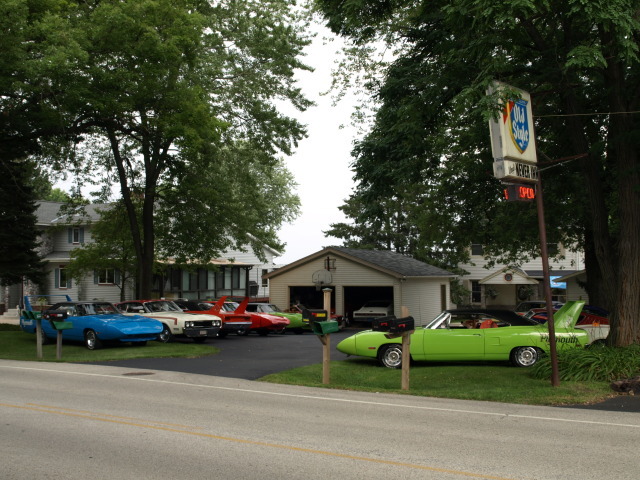 Jim Wurster owns the 1970 Challenger R/T and 1971 Charger R/T. 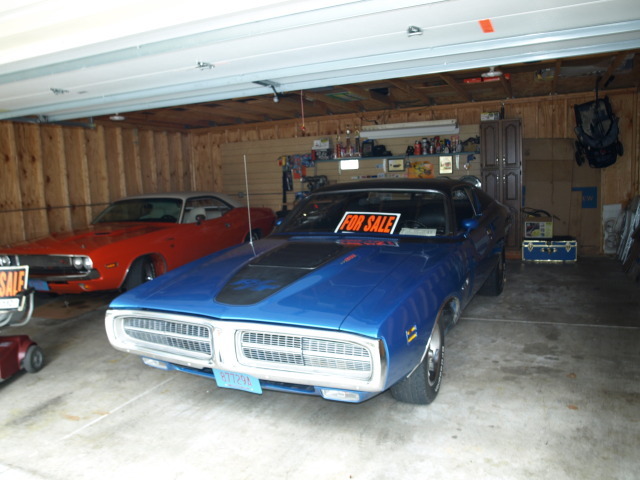 The Charger is for sale. Send Jim an email at moparsrus@gmail.com for information. A beautiful view in the back yard. 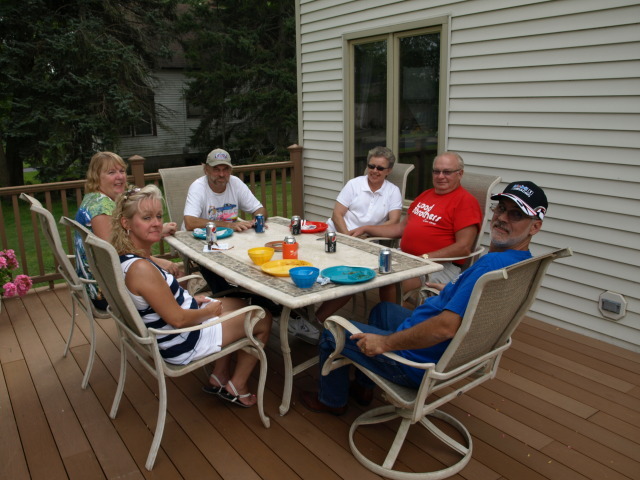 Jim gave us boat rides and Kathy kept us well fed and entertained. The gang talking it all over after dessert.